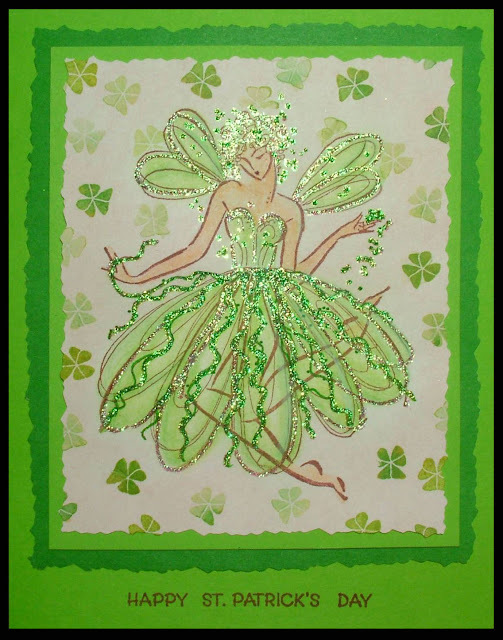 A field of shamrocks were stamped around the fairy in various shades of green ink. The Fairy was colored with pastel pencils and decorative chalks. then accented these and other areas with Stickles Crystal glitter glue. areas with the green marker and much lighter in the other areas it was used.